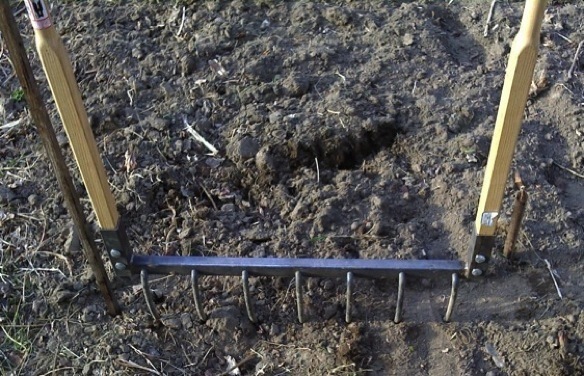 Used to loosen planting beds for growing flowers and vegetables. This broad fork can loosen beds that are wide row raised beds that are 3’ to 4′ wide. 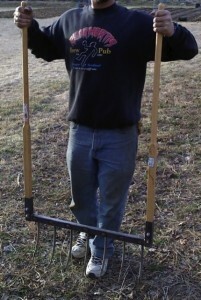 Great for loosening soil deeper than most rototillers can reach. 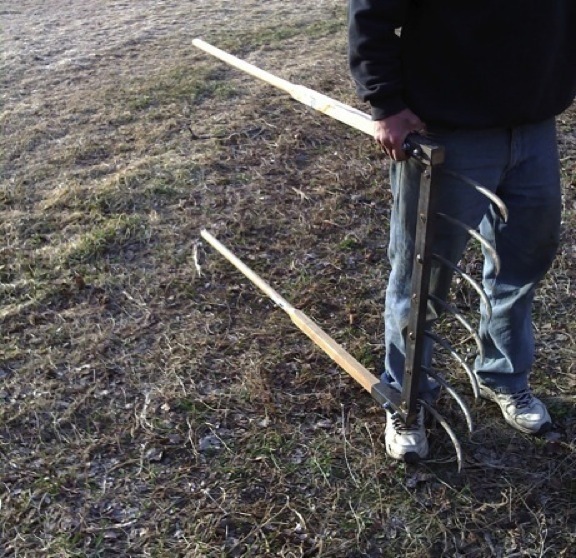 Great for notill, or no-till gardening, if you do not have a rototiller, or do not want to spend money on gas to loosen garden beds. 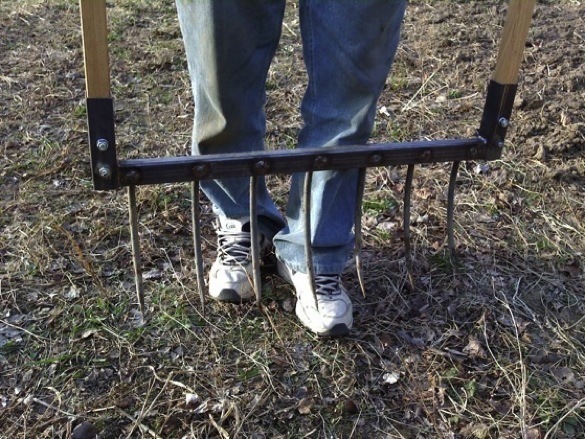 Not intended for loosening soil that has not been previously loosened, tilled, or worked by shovel, but can be used the year after being worked previously or the same year worked previously. in other words it is not intended for opening up new ground or gardens. 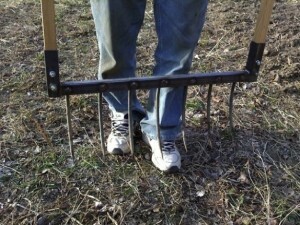 I use mine on ground that has already grown a crop or has been rotor-tilled. Works good on older garden beds. It was made here in Alaska. Tines are very tough, forged from 4140 – 0.5″ Chromoly Round Stock Steel. It works great. Check out the photos. If you want a custom built one we can discuss that as well. It is hard to find a better deal on the internet for this price when shipping is included. Give me a call or email me at klm@gci.net to order one. Can discuss delivery in Alaska to Anchorage, Palmer, and Wasilla areas at $0.55 a mile.